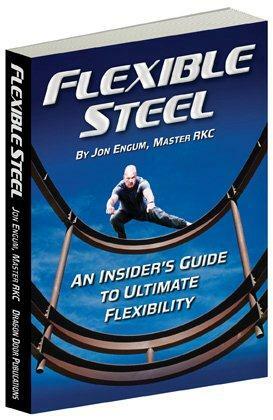 If you already own Relax Into Stretch and Super Joints and are looking for another resource to help you get to the next level of flexibility, Jon Engum's book is what you want. Jon's many years as a martial artist have given him a unique perspective which he shares in this book. Highly recommended. When I suffered a shoulder overuse injury a few years ago, nothing I tried was returning me to lifting weights - until I tried this. Serenity Qigong became my main form of exercise for several months as I gradually unwound the tensions in my body. Without it, I doubt I'd be lifting again today. Flexibility requires relaxation, and if you have trouble relaxing your body - whether it's a regular problem or just once in a while - then the Crane Frolic DVD here is an excellent place to start. Subtitled as "An Instructional Guide ..", you will follow along as John DuCane guides you through the entire ten movements of this ancient practice in a way that will allow you to learn with no prior Qigong experience. It's not difficult to do, and most important, John gives you pointers on what to think about and how to breath, not just where to place your body - this guidance is key to allowing you to get the heart of this relaxed qigong practice, which is then the key to reaping its benefit.